YouTube MP3 Converter, which is developed for converting YouTube to MP3, is the very first Windows application and probably the best free YouTube to MP3 Converter in the world. Convert music video from YouTube to MP3 audio files of best possible quality with no limits on the amount of conversions and downloads. The free YouTube MP3 Converter is not only good to transfer YouTube to MP3, WMA, AAC, OGG and lossless audio formats like FLAC, ALAC, WAV, but also supports to convert other online videos like Facebook to MP3, Vimeo to MP3, Nico to MP3 or other popular formats. Here is a free but best YouTube to MP3 Converter, with a detailed step-by-step guide on how to convert YouTube to MP3. The YouTube to MP3 Converter is completely free of charge. Click the Download button below to have a try Free YouTube MP3 Converter. How to Convert YouTube to MP3 with YouTube to MP3 Converter? Click Download tab in the main window to open the "Video Download" window. 1. Copy and paste YouTube URL of YouTube video. 2. Click button to start downloading. 3. Select the download format from the pop up window. Click Download to confirm. 4. If there are multiple videos you would like to download, click button in the upper right corner and paste URLs to the pop up window. 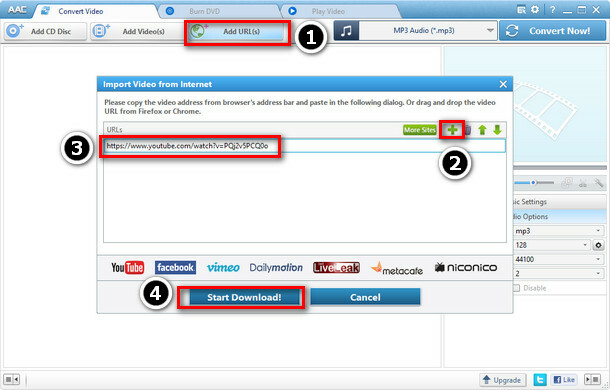 You can pause download process by right-clicking the downloading video and choose Pause/Pause All. 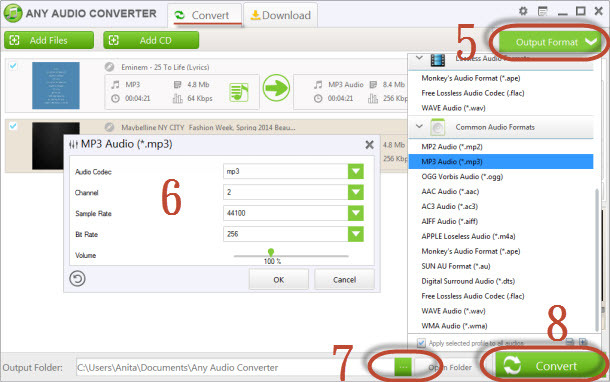 Click Convert tab in the main window to open the "Audio Conversion" window. 5. Click button and choose MP3 Audio(*.mp3) from drop-down list. 6. Click button and customize audio parameters, including Audio Codec, Channel, Sample Rate, Bit Rate, Volume and VBR quality. Click OK to confirm. 7. Click and select a folder for saving the output files in the dialog that opens. 8. Click button to start converting YouTube to MP3. In addition, with YouTube to MP3 Converter, you can merge, trim, split audio files, and extract audio from only a portion of the YouTube video clip. If you would like to enjoy the YouTube audio in your iPad, iPhone or iPod, our free Syncios iOS Transfer be what you need to import the audio files to your iOS device. Just a few clicks and all without iTunes. 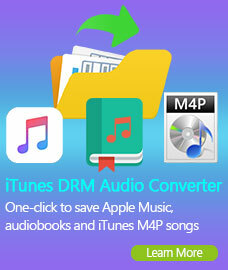 An all-in-one iTunes Audio Converter to convert DRM-ed Apple Music files, audiobooks, and m4p audio to unprotected MP3, AAC or WAV at 20X faster speed with lossless quality. 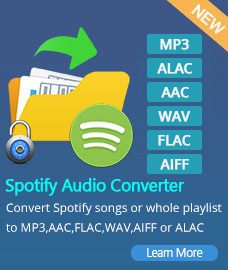 A well-designed audio converter for Mac users to convert any audio which can be played in Spotify to MP3 or AAC format with 5X faster speed and good output quality.